Now as you can probably understand I should probably be quite careful with what I write here but I think it's wonderful that all of Joey Barton's anger may have stemmed from his repressed homosexuality. Of course this might be absolute nonsense, and that might not even be Joey Barton in the picture - all I'm saying is that here is a picture and the internet seems to think that two men were arrested and something something Joey Barton. 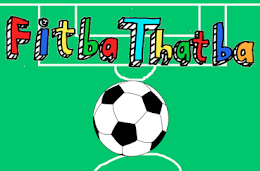 Until the BBC puts up a story I'm gonna call shenanigans on it but if they do then remember that FitbaThatba was the first place to bring you this story. And if anything bad happens as a result then remember that FitbaThatba was not the first place to bring you this story.